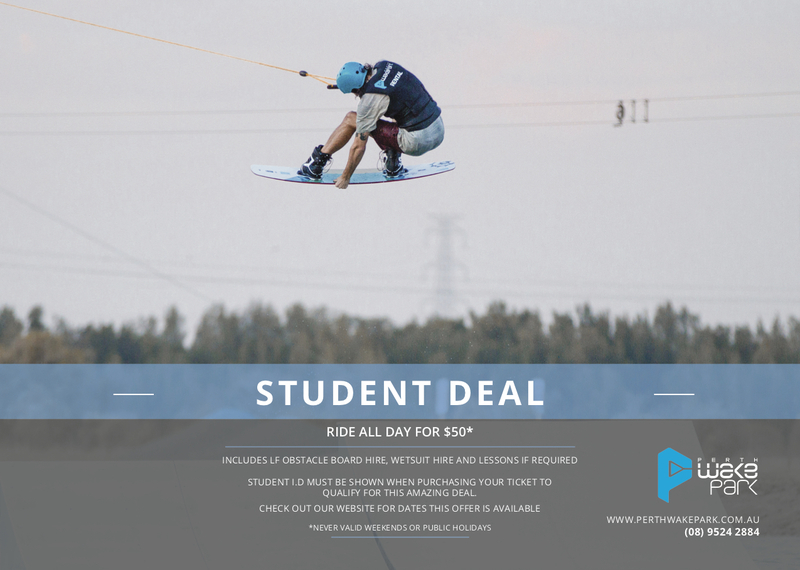 All students can ride throughout the week for $50 for an all day pass including LF obstacle board hire and any lessons required! Perth Aqua Park is also offering a $15 Aqua Park session with any weekday Wake Park ticket. Valid for the same day only.